Mathew has a lot on his plate. After finding out that his best friend Sarette is actually his cousin, a fairy, and destined to be queen, he also learns that he’s a prince and an heir to the Fire Fey throne. Now instead of applying to colleges and sucking down Boston Coolers in Michigan, he must travel through Daearen to Bienn-Theine, the fire realm, to claim his birthright and fight the dark magic threatening to take all that Mathew holds dear— the woman he has come to adore, Sarette and the family he just found, the fey he has come to love, and the land that becomes home. 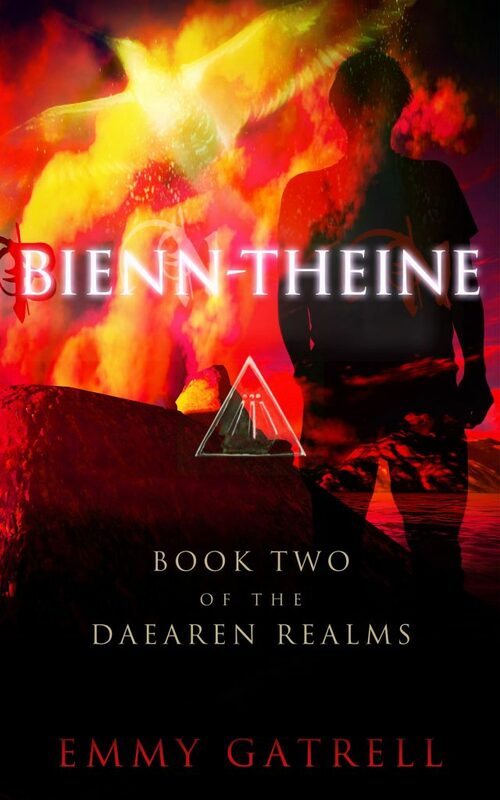 Mathew must become both a man and a prince to defeat the dark fey threatening the balance between good and evil, not only in the Daearen realms, but on earth as well.